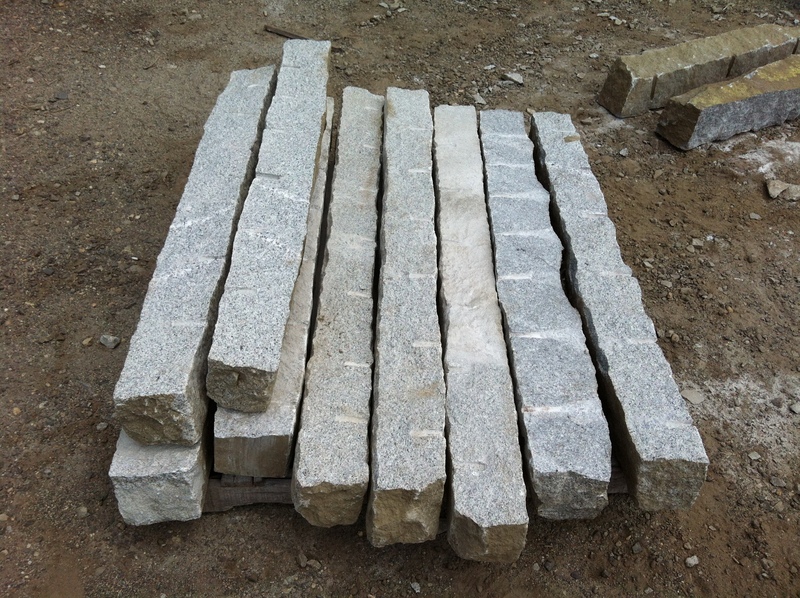 Granite curbing has been a staple of our inventory for the past five years. 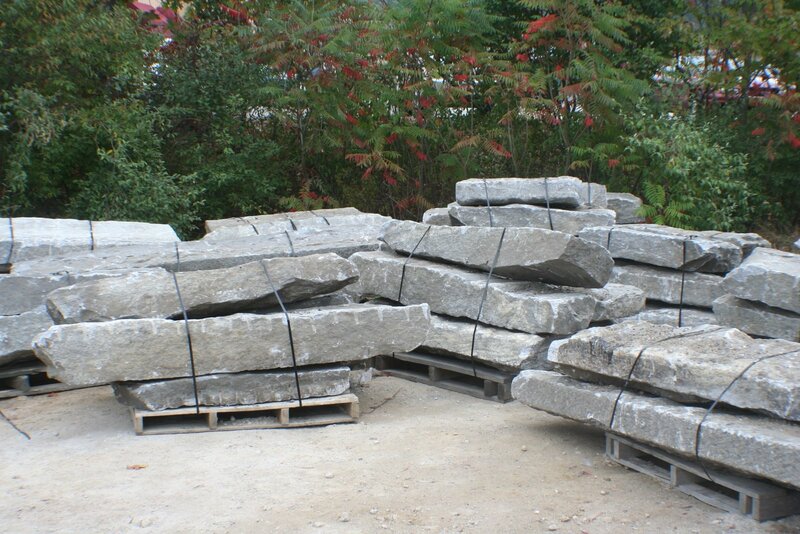 We have purchased and sold miles of granite curbing since beginning our salvaging efforts. 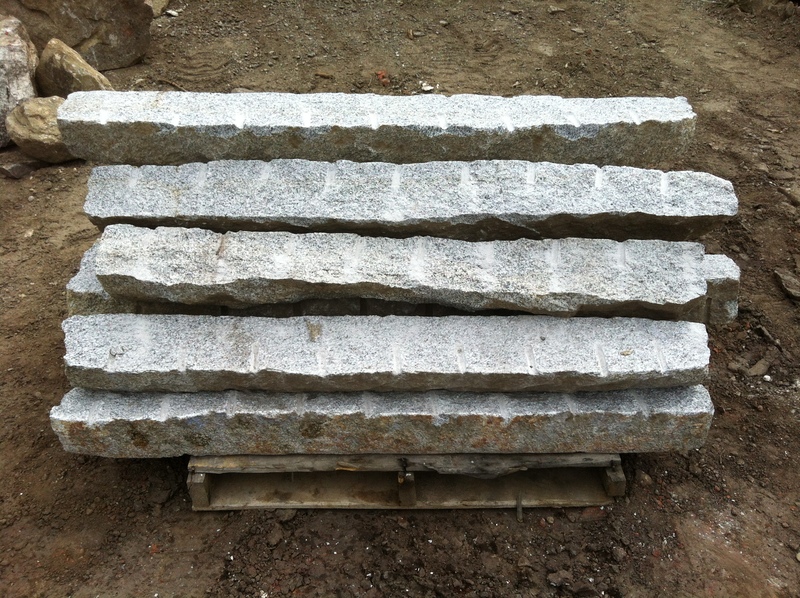 We often have large quantities of multiple styles of granite curbing. Each style generally comes from a different era in time. 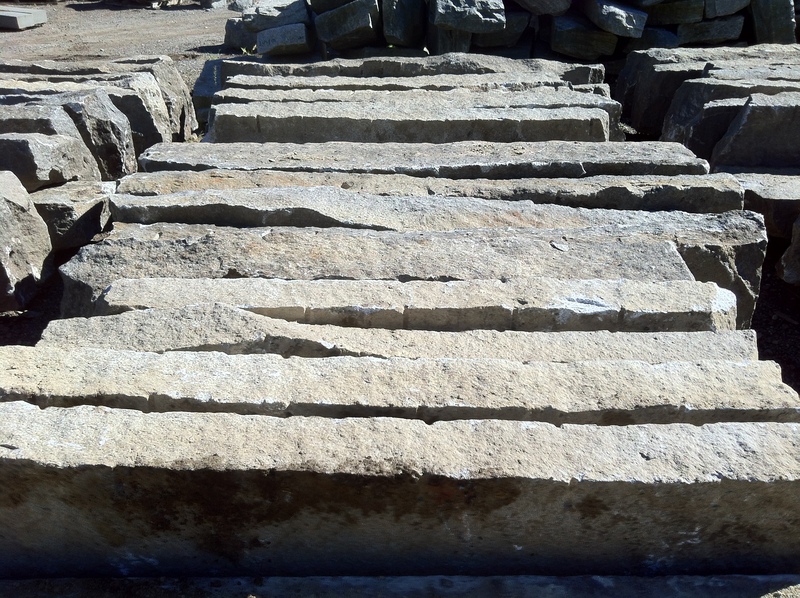 Sawn Side Curbing – Sawn Side Curbing is new or reclaimed granite curbing that has modern manufacturing written all over it. This generally includes cut marks, sawn marks, spray paint or notches and angles. 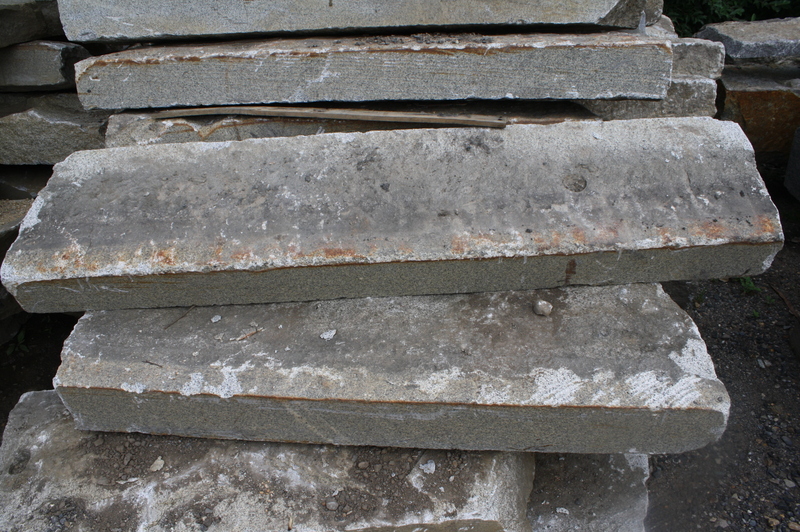 Our inventory is extensive and does include many weathered pieces of Sawn Side Curbing as well. They are ideal for curbing applications in commercial or residential applications and often meet or exceed the required standards. Slope Curb – Often shorter lengths and narrower widths are typical. The stones dressed the edge of highway islands and embankments. 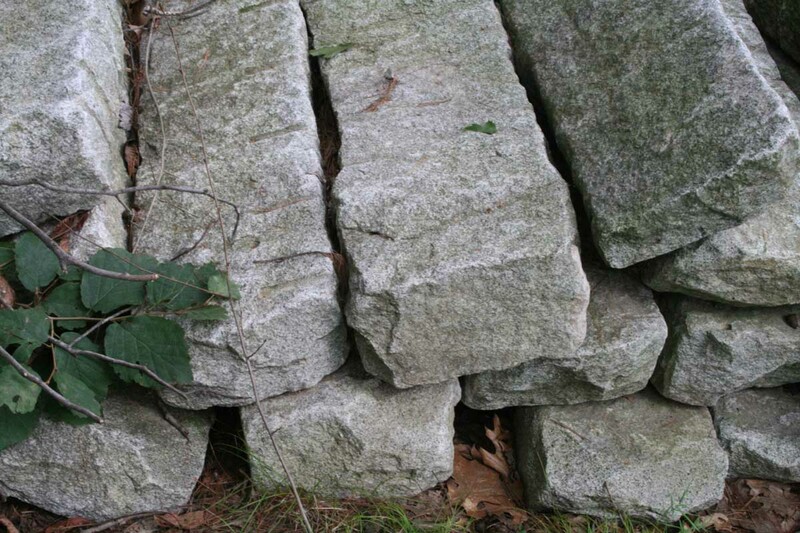 This stone is ideal for landscape edging around gardens and mulch beds. This is also a perfect stone to incorporate into a masonry veneer. 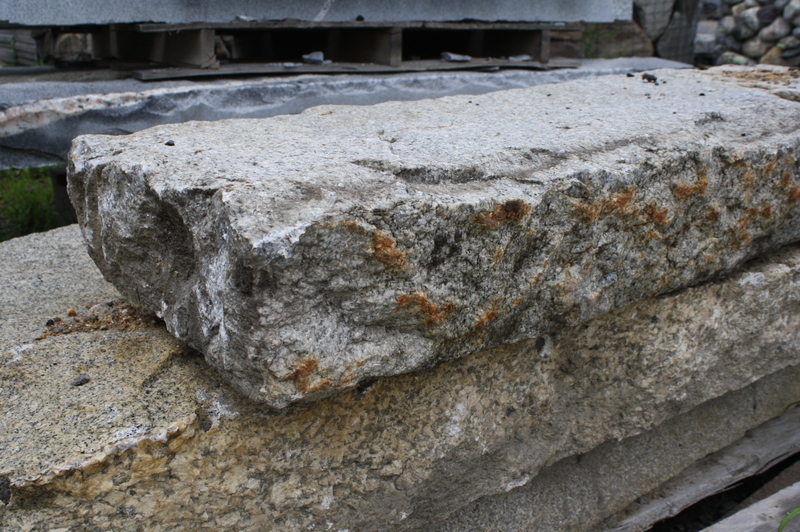 Window details, keystones and granite quions are great ways to incorporate this reclaimed stone into your project. 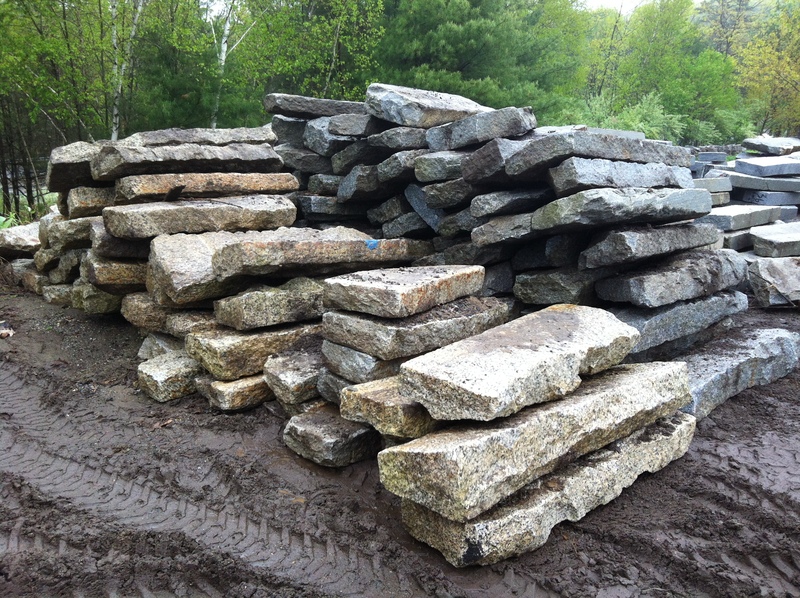 Our inventory of reclaimed granite continues to grow weekly. We are constantly buying new inventory and carefully sorting it by its color and size. 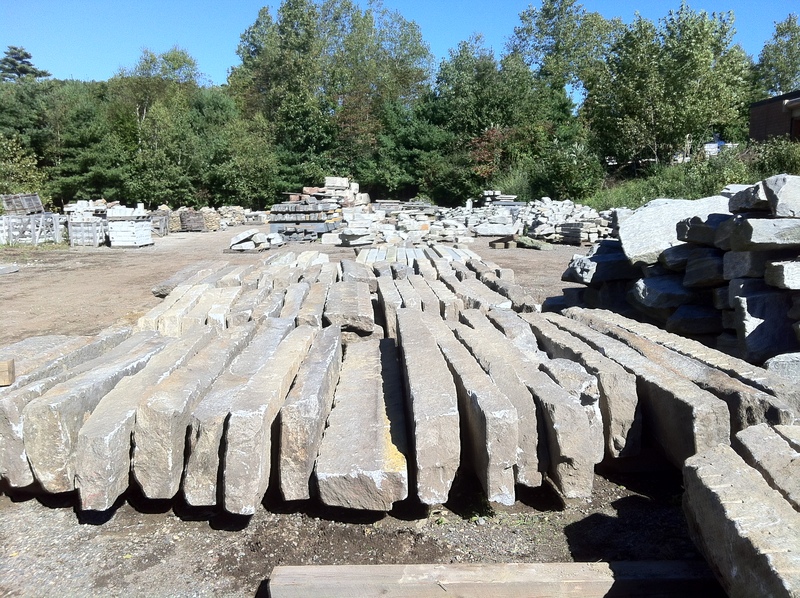 Come down to our stone yard in Charlton, Ma. Radius Curbing can be used to create a unique contour or near a driveway entrance. 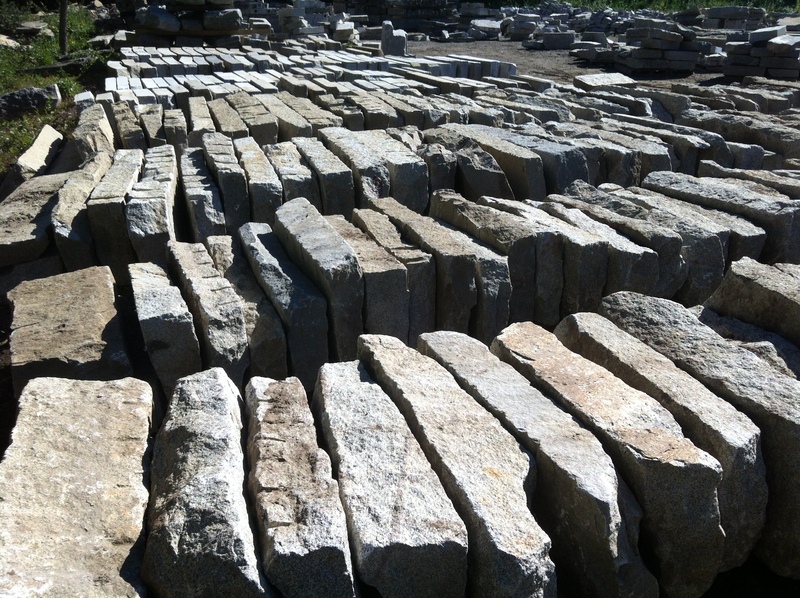 Our radius granite curbing is sorted by size and can be cut to any required lengths. 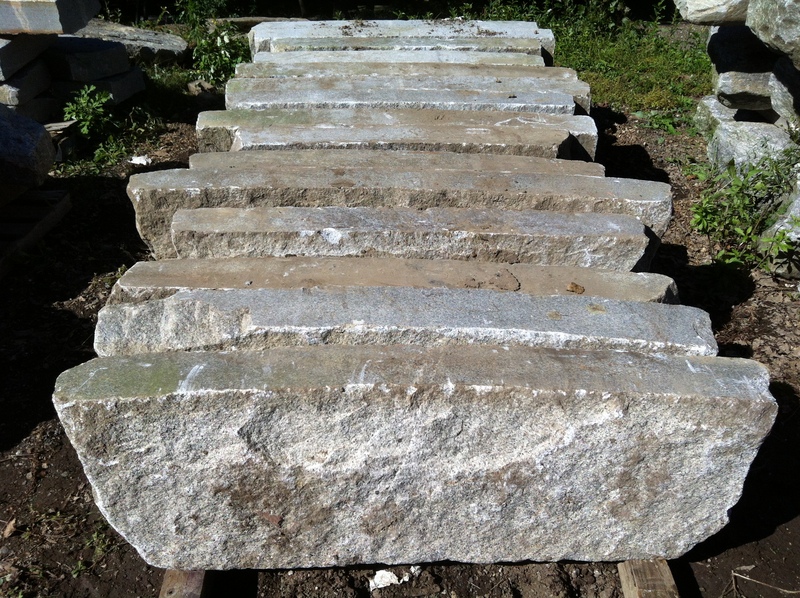 Larger reclaimed granite slabs are hand split into manageable sizes great for garden edging and patio or walkway borders. Here’s another great example of hand split granite edging. This material was all reclaimed and salvaged in Central Massachusetts. Our newest addition to the inventory is over one thousand feet of long lengths. This material has one flat finished side and the opposite side is rough and natural. We have dozens of stones of nine feet in length! Hi Scott, are you still looking for curbing? City of Lewiston is putting together a bid for purchasing our surplus curbing. If interested please send me an email to send the specs to. I wish I had seen this before!